Hosted by the Department of Comparative Literature at the University of Szeged (in association with the Section of Language and Literature of the Szeged Branch of the Hungarian Academy of Sciences), the conference will focus on the multifaceted and at times uncanny relation between the political notion and discourse of terror(ism) and the tradition of aesthetic thought from antiquity to the present. The prime goal of the conference is to provide new critical perspectives and conceptual tools for the analysis of the complex and controversial phenomenon called “terrorism” from the direction of aesthetic theory, and thereby to displace the far too militarized rendering of the issue. The insights of historical and political studies, as well as the practical demands of security politics are fully acknowledged. However, an aesthetic approach might complement and critically enhance such investigations and efforts. Aesthetics is to be understood here in a broad sense, including theories of passion and affect, as well as theories of rhetoric and mediation. The scope of the conference will therefore not be limited to “artistic” representation, but inversely, the “artifactuality” implicit in all modes of representation will be rigorously considered. 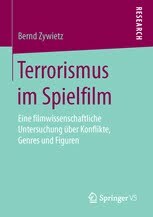 This implies, among others, an analysis of the diverse theorizations of “terror” and of related concepts (catharsis, sublime, sympathy, fear, distance etc.) in ancient poetical and rhetorical discourse (Plato, Aristotle, Demetrius, Cicero, Longinus etc. ), in early modern aesthetic speculations (Hobbes, Milton, Boileau, Le Brun, Diderot, Addison, Baillie, Burke, Mendelssohn, Lessing, Kant, Schiller etc. ), as well as in 19-20th century modernist theory and praxis (Jarry, Artaud, Bataille, Blanchot, Newman, Hajas etc.). Contemporary critical discourse, including acknowledged political experts (Jenkins, Schmid, Laqueur etc.) as well as philosophers or theoreticians (Derrida, Habermas, Baudrillard, Weber, Redfield etc.) will, of course, also be involved in the discussions. Other points of focus, including literary and artistic works as well as individual analyses of specific critical notions or texts, are also welcome. Proposals are invited for 20-minute presentations. The primary language of the conference will be English, but proposals for papers in German or French are also expected and will undergo equal perusal. We envision the edited publication of the conference proceedings in both electronic and printed format. Proposals (with an abstract of max. 250 words, including name and affiliation, as well as the indication of AV needs) are to be sent via email to the chief organizer György Fogarasi (fogarasi(at)hung.u-szeged.hu). Deadline for the submission of proposals: May 31, 2011. A notice of acceptance will be sent out by June 15, 2011. No registration fee will be required. All costs (travel, accommodation, and other) shall however be covered by the participants. For information on travel and accommodation, or for program details, please visit our website (http://www.complit.u-szeged.hu/conference.php), or send a message to terraesthconf@gmail.com.